Not to long from now, our computers may become a hundred times faster thanks to something called graphene. Scientists are thinking about replacing today’s silicon chip in today’s electronics with graphene chip. What makes graphene so awesome? 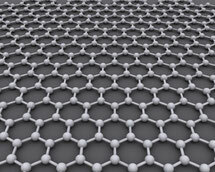 Graphene is a single layer of graphite. It is only one atom thin. This arrangement is what gives graphene awesome properties that scientists are now busy exploring.